Gifts can strengthen the bond between mother and daughter. Though they can sometimes be complicated, the ties that bind that a mother and daughter are unique and special. There are many routes to take when deciding on a gift to show how much you care about your relationship, whether you choose sweet and sentimental or funny and functional. Your relationship with your mother or daughter is what should be expressed with this gift. 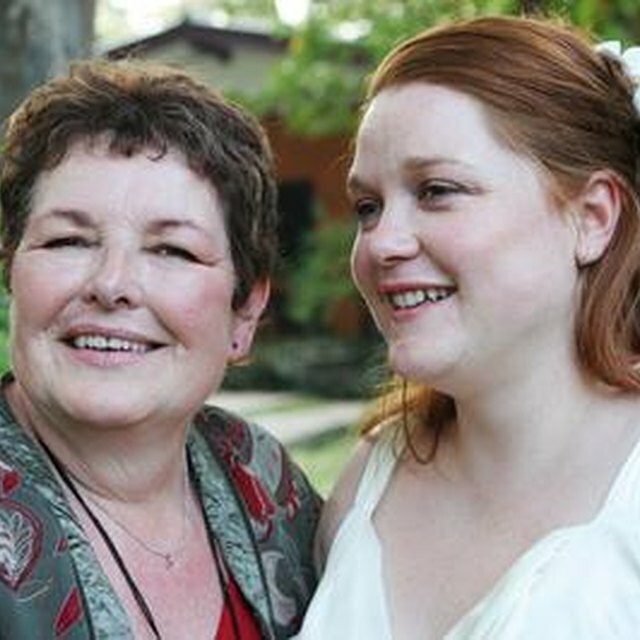 Some of the best mother-daughter gifts are not expensive in dollar value, but are rich in sentimental worth. For example, popular mother-daughter gifts are framed photos of the two of them together. Collages or scrapbooks of multiple photos of the two of them through the years are another sweet option for mother-daughter gifts. Handwritten poems and letters are easy gifts that both parties will love. Instead of presents that can be wrapped, experience gifts offer the chance to make memories neither party will ever forget. These can be special trips or vacations, or even just a visit to a salon or spa for a day of pampering. A mother-daughter bike ride or picnic are thoughtful alternatives to traditional gifts as well. Giving a functional gift not only serves an intended purpose, it provides an opportunity for the mother or daughter to think of each other whenever time the gift is used. For example, mothers and daughters can exchange pens engraved with the dates given or their names written on the barrel. Each time a message is written, it serves as a reminder that the pen holder is loved. Other functional gift ideas are tea towels, electronic devices or home decor. One of the best ways to put your own special touch on a mother and daughter gift is to make the gift yourself. From artwork to jewelry, embroidery work or ornaments, handmade arts and crafts projects are sure to be treasured by the recipient. If you are not comfortable making items such as clothing from scratch, add personal monograms to them for a personal touch. Jewelry is a favorite gift of women, especially when they are a reminder of the person who gave it to them. Mothers and daughters can exchange necklaces, bracelets, watches and brooches with mother and daughter themes or that feature each other’s names. Perhaps the mother could wear a necklace that features her daughter’s birth stone and vice versa. Matching or coordinating clothing is another special mother and daughter gift. Try printing messages on clothing items such as T-shirts or scarves with reminders of how much you care about each other.